These questions stem from a complexity of causes, such as the poor measures taken by the government at the initial stage of the accident and the lack of information regarding the degree of health damage generated by radiation. The underlying problem is the fact that basically the regulations about radiation dose limits have not been revised for over 50 years. During the Cold War, the radioactivity risk mainly derived from nuclear weapons. Fear of war incited fear of nuclear energy, which led to the political distortion of the evaluation of nuclear energy. After the Cold War, nuclear power has always been a theme of political controversy because movements against nuclear weapons simply changed their target to nuclear power. Given such a background, even energy experts consider the accident in Fukushima as “a major disaster of a global level” and tend to think that “the costs of building a nuclear power plant might be more or less inexpensive but that the risk of its corruption is so enormous that it would not be worth it”. However, the damage figures resulting from nuclear power plant accidents are just estimated ones, which differ from those of nuclear bombs that kill tens of thousands of people in an instant. The damage calculation is conducted based on the radiation dose limits regulated by the IAEA (International Atomic Energy Agency), but reconsideration of this regulation is needed as radiology has rapidly progressed in recent years. If this regulation is reviewed, it would have a great social impact because the estimated damages of nuclear power plant accident go into trillions of yen. This paper will outline risks of the disaster in Fukushima using existing materials, shed light on the cause of the gap between the scientific facts of nuclear power safety standards and the impression that the public has toward nuclear power, and examine how energy policies would change if that gap was accurately evaluated. I am not specialized either in nuclear power engineering or radiology. However, this issue is so subdivided into different specializations that people in different fields tend not to debate it from a wide overall viewpoint. Therefore, I would like to provide resources for studies by briefly reassessing the risks of nuclear energy and its economic efficiency based on existing data. First let us offer an overview of the accident. The Fukushima Daiichi Nuclear Power Plant was scrammed as a consequence of the Great East Japan Earthquake of March 11th and an ECCS (emergency core cooling system) came into operation. Meanwhile, standby power supply equipment failed to work because of the tsunami. Then cooling water stopped circulating, which led a rise in temperature inside the nuclear power reactors and the generation of water vapor. In order to prevent pressure vessels and containment vessels from destruction, water vapor was released from the reactors. As a result a hydrogen explosion occurred, blowing up the buildings of the nuclear power plant and emitting an enormous amount of radioactive materials on March 12th. It was reported later that all the fuel rods had melted through the bottom of pressure vessels and that the temperature reached 2,800 degrees Celsius. This temperature exceeded the 1,500-degree Celsius melting point of the pressure vessels, which means that they were also likely to have partially melted. The situation was so severe that the pressure vessels could have been destroyed. Fortunately though, the actual damage to the pressure vessels and containment vessels was just fractional. However, a tremendous amount of radioactive materials was discharged. The Nuclear Safety Commission of Japan estimated it as 630 thousand terabecquerels. According to the INES (International Nuclear Event Scale) which the IAEA uses as its base, Level 7 is defined as “An event resulting in an environmental release corresponding to a quantity of radioactive material equivalent to a release to the atmosphere of more than several tens of thousands of terabecquerels of 131 I.” Thereby the Fukushima Daiichi nuclear disaster is equivalent to the Chernobyl disaster. By this assessment, some consider the Fukushima Daiichi nuclear disaster as “the worst possible accident ranking with Chernobyl”. However the death toll in Fukushima is estimated to remain at zero, while in Chernobyl the reactor was completely destroyed and people including firefighters lost their lives. Many experts say that treating these two accidents in the same manner is somewhat misleading and that the INES standard itself should be reconsidered. The scale of the Fukushima disaster is large if measured by the total amount of released radioactive materials. On the other hand, the level of radiation monitored in the surrounding environment is not so high. Figure 1 shows a map of the neighboring areas of the Fukushima Daiichi disaster site separated by the amount of integrated effective dose levels. The Ministry of Education, Culture, Sports, Science and Technology (MEXT) measured the dose levels in these areas with SPEEDI (System for Prediction of Environmental Emergency Dose Information). With the integrated amount measured from immediately after the accident March 12th through to April 24th, it is only in a mountainous area within a ten-kilometer radius in the northwest of the nuclear power plant, where it exceeds the effective dose level of 100 mSv which is the maximum dose criteria regulated by the IAEA, (MEXT, 2011). The government’s disruptive actions, however, caused panic among the public. 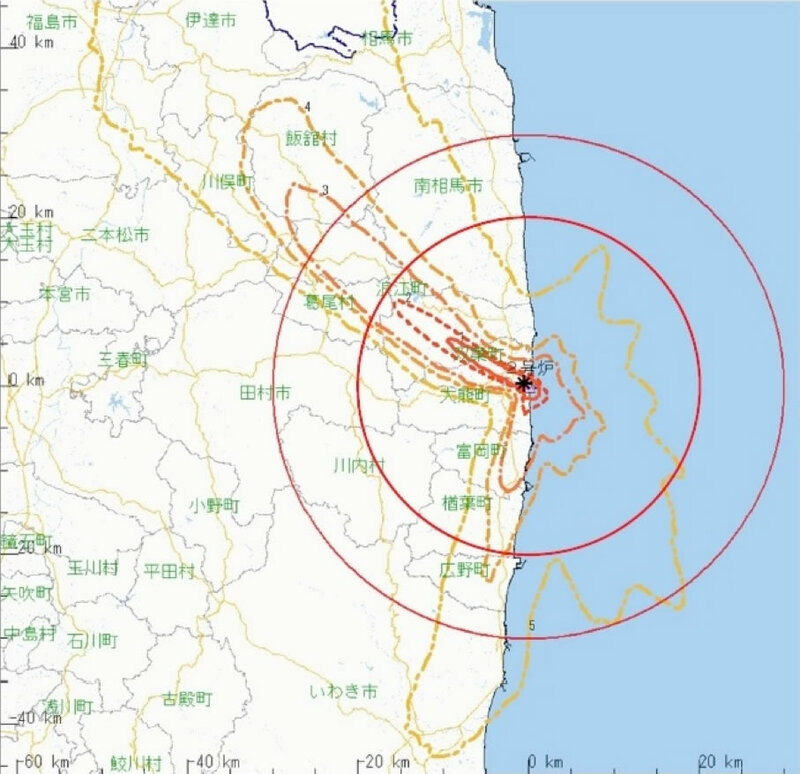 The government immediately issued an “evacuation order” to residents within a three-kilometer radius of the nuclear power plant and an “indoor evacuation order” to residents within a three-to-ten kilometer radius of the nuclear power plant directly after the accident occurred on March 11th. The evacuation order was extended to an area within a ten-kilometer radius and then to a twenty-kilometer radius on 12th. On March 15th, residents within a twenty-to-thirty kilometer radius were ordered to maintain indoor evacuation. Since the government did not show the evidence or reason why they gave those orders, it was unclear how far the radioactive materials had spread, rumors that radioactive fallout would reach the capital region spread, and some foreign diplomatic and consular offices located in Tokyo ordered their staff to leave the Tokyo metropolitan area. Planned exposure situation is the management standard of nuclear facilities, when no accident is occurring. The emergency exposure situations, is when “actions for reduction of radiation exposure are failing”, equivalent to a situation immediately after a nuclear power plant accident. Existing exposure situations is for the post-accident dose limit, which is applied to current disaster sites. Distribution restrictions of agricultural products are determined by this dose limit. For instance, vegetables are prescreened before shipment according to the provisional restriction valueｓ that the dose value of cesium 137 should be less than 500 Bq/kg. However recommendations by the ICRP, which form the basis of this interim reference dose value, are questionable from a scientific standpoint. The dose values of 1mSv per year (in planned exposure situations) regulated by the IAEA is based on ICRP Publication 60 in 1990. It is below 2.4 mSv per year, the average natural radiation level throughout the world, and 1.5 mSv per year, the average natural radiation level in Japan. What is particularly problematic is that IAEA has adopted the Linear No Threshold　(LNT) model, which has no epidemiological evidence, for radiation below 100 mSv, therefore, concurring with the standpoint that even just a small amount of radiation is unsafe. In 1958 when the ICRP adopted the LNT model, there was little information about the function of genes. In subsequent studies, it was discovered that DNA has a strong repair mechanism. Considering the fact that organisms have developed while being exposed to strong radiation for 3.8 billion years, it is quite unlikely that an organism exists, whose DNA can be fatally destroyed by a small amount of radiation. Nevertheless, the ICRP did not reconsider the recommended dose value; on the contrary, they lowered the level from 5 mSv to 1 mSv. Among 167 theses surveyed in this report, there are just two theses which clearly support the LNT model. One is BEIR (Biological Effects of Ionizing Radiation) VII by the National Research Council of the National Academies, and the other is ICRP Publication 99 issued in 2006. In BEIR VII, “the committee judged that the LNT model provided the most reasonable description of the relation between low-dose exposure to ionizing radiation and the incidence of solid cancers that are induced by ionizing radiation”. (p.6, BEIR VII, 2006. This argument is questionable as Tubiana and others point out. The major foundation of its assertion is detailed data provided by follow-up research into atomic bomb victims in Hiroshima and Nagasaki. However, there is no statistical evidence suggesting a significant increase in the carcinogenic rate caused by exposure to radiation less than 200 mSv. Sohei Kondo who has conducted surveys of atomic bomb survivors over half a century, criticizes the fact that the LNT model, which the ICRP adopted over 50 years ago against scientists’ opposition, has still not been reviewed or remediated, saying “this is the biggest scientific scandal in the 20th century” (pp.77-78, Kondo,1998). Of course it would be impossible to determine that there is no risk of radiation exposure at levels of 100 mSv or less because there is no evidence of a significant increase in carcinogenic rates. The National Cancer Center considers that “the risk of radiation exposure at the level of 100 – 200 mSv would be a 1.08 times higher; it is equivalent to those such as vegetable deficiency (1.06 times higher) or passive smoking (1.02 – 1.03 times higher).” (p.79, Hakozaki et al, 2011). From a medical point of view, there is no reason that the carcinogenic rate caused by radiation should be treated specially, and it should match the attention paid to other carcinogenic factors such as smoking. In other words, the majority of the evacuations and jettisoning of agricultural products or decontamination stemming from the accident would have been unnecessary if most of the scientists’ theories had been taken into account. Because, as it is clear from the Figure 1, the places that have been or will be exposed to radiation over a level of 100 mSv are limited to an area very close to the nuclear power plant. What is widely agreed among many reports, however, is that the stress from the fear of radiation had a much greater impact than the damage caused by the disaster. 350,000 people were compulsorily evacuated, 200,000 lost their homes, 1,250 committed suicide, and between 100,000 and 200,000 sought an abortion. They experienced severe psychological trauma and most of them suffered from mental disorders. Thus, the hurt caused by losing their homes and jobs due to disproportionate evacuation orders or forced replacement is much severer than that rendered by the radiation itself. In addition, due to respiratory diseases caused by air pollution attributed to thermal power generation, it is estimated that there are several hundred thousand deaths annually throughout the world. This indicates that the effect on the environment　resulting from using fossil fuels, is far greater than that derived from nuclear power generation. When such opportunistic costs are taken into consideration, whether or not the risks of nuclear power generation are greater than those of thermal power generation is not obvious. It is rather unlikely that there will be another unfortunate disaster in which an enormous earthquake of a scale experienced once in a thousand years striking a 40-year-old nuclear reactor like that of the Fukushima Daiichi plant, and that even the standby power supply would then stop. Still, given the fact that there were no deaths in that accident, the possibility that fatal accidents will occur in OECD countries in the foreseeable future is very low. The opinion exists that “the costs of nuclear power generation are enormous” because some people have anticipated that the compensation payments for the Fukushima disaster could total several trillion yen. However, such a huge compensatory amount for an accident that brought no deaths is excessive when compared with past disasters or accidents. The worst accidents envisaged by the Act on Compensation for Nuclear Damage are those with death tolls of tens of thousands. It would be wrong if TEPCO collapsed due to the loss of only property as would be the case in this disaster. It seems to be an overestimation, especially the damages for agricultural products, which are up to nearly 900 billion yen, considering that the total shipments of agricultural products were 245 billion yen in Fukushima in 2010. It is true that consumers have been holding off on their purchases of agricultural products, but it is inappropriate that losses of all products be covered by self-reporting if they are from “individually designated areas by the interim guidance as; if it was rational for consumers or clients to refrain from buying and so on because of the fear of contamination by radioactive materials.” If full compensation is promised without considering whether the products are contaminated by radioactive materials or not, farmers will have an incentive to demand money for all agricultural products, including unpolluted ones just by discarding them. This will not only be a waste of a vast amount of food, but will expand the amount of indemnification to be made by TEPCO to more than necessary. Compensation for agricultural products, without setting any principles, should be avoided. It is imperative to conduct sampling tests on agricultural products to discover whether they contain radioactive materials, and if they hold more than the provisional restriction values, that they should be discarded; but if lower, then they should be on the market indicating that they are “produced in Fukushima”. The decision whether or not to buy them should be one made by consumers. Since it is possible that their prices might be lower than usual, losses should be estimated considering this difference. Overestimation of the risks of nuclear power generation would affect the evaluation of its economic efficiency. The “Technical Subcommittee on Nuclear Power, Nuclear Fuel Cycle, etc “of the Japan Atomic Energy Commission when reviewing the cost of nuclear power generation, assumed a severe accident to be priced at 5 trillion yen based on the calculation results arrived at by the TEPCO Investigative Committee. They estimated that the unit price of” electric generation would increase by 1.2 to 1.6 yen/kWh if a severe accident occurred once in 500 reactor years (Nuclear Safety Commission of Japan, 2011). In addition, the cost for back-end activities such as reprocessing will be 1 to 2 yen/kWh, however, it is also included in the current cost calculation (1.4 yen/kWh); therefore, it is not so different. However, this assessment is questionable. The biggest problem is that decontamination expenditure is not included. It is stated that they will review and calculate those costs in the future, but it should be noted that the degree of decontamination relies much upon dose criteria. For instance, for decontamination of cadmium, 800 billion yen in total was spent, excavating soil of 1,600 hectares for 30 years., the cost was 500 million yen per hectare, If the same decontamination approach is to be taken by following the policy provided by the Ministry of the Environment, it means that all the areas with more than additional annual doses of 1 mSv per year (effective doses 2.5 mSv per year) , which will be over 10 thousand square kilometers, will have to be decontaminated, and the price is estimated to be 500 trillion yen. No doubt that a less expensive approach, such as decontaminating certain areas and places like schools, will be taken in practice because taking the approach as above is impossible in reality. Conducting decontamination according to the dose criteria of 1 to 2.5 mSv, levels which can be normally observed, would cause a vast waste of resources, such as problems of dumping sites for the removed soil. Some municipalities have already started ad hoc decontamination pressured by some of the residents. If the government overlooked their actions, the cost would be demanded to the government, resulting in an enormous fiscal burden. The government should immediately decide on a uniform standard. If the threshold is set to 100 mSv, the cost of compensations and decontamination would be greatly lowered. As shown in Figure 1, the area with a dose level over 100 mSv per year is a mountainous one within a ten-kilometer radius to the northwest of the nuclear power plant. Therefore, it would be more realistic for TEPCO to buy up the area than to conduct decontamination. If they bought 10 square kilometers of the land excepting the mountainous area, for example, the amount paid for acquisition would be 200 billion yen on the basis of the average land price in Fukushima, 20 thousand yen per 1 square meter. Even with compensation, not recompensing harmful rumors collectively, but as mentioned previously, by letting the market evaluate, the price of compensation for agricultural products would be less than half the estimate. “Temporary losses” could be less than 1 trillion yen if an independent committee strictly assessed property losses. Even if TEPCO bore the actual expenses of evacuation etc., it should be possible to make the compensation for residences less than 2 trillion yen in the initial year, if houses in which residents can no longer live in are bought up, and no decontamination is conducted. According to the report by the TEPCO Investigative Committee, the net assets of TEPCO are excess assets of 1 trillion and 292.2 billion yen, but the amount of compensation is not reflected. On the basis that Nuclear Damage Liability Facilitation Fund will issue government compensation bonds to TEPCO, it is assumed that the revenue recognition income will be the same amount; therefore, the compensation cost is not reflected in the consolidated net assets. But the bonds will eventually become TEPCO’s debts - 3.6 trillion yen in the initial year and 900 billion yen per year afterward – as compensation payments, the existence of the company will be threatened. If the compensation can be reduced by more than half, management reconstruction would become more realistic through means such as asset disposition and management rationalization. It would be desirable if appropriate procedures were taken through legal liquidation, not by governmental discretion. If the amount of compensation was reduced to less than 2 trillion yen, the additional costs estimated by the Nuclear Safety Commission of Japan could be around 0.7 yen/kWh. Also, if decontamination is conducted only on land whose dose levels are over 100 mSv, its costs would be reduced to 200 billion yen as described above. The government has currently budgeted 1 trillion and 200 billion yen for decontamination, which seems excessive. The increase in costs resulting from risks caused by the disaster would be 1 yen/kWh or less even if this budget is added and keeping the initial year’s compensation amount to less than 2 trillion yen. The probability of the occurrence of a severe accident, once in 500 reactor years (which is equivalent to once in 10 years for all 54 nuclear reactors in Japan), is far surpassing the IAEA criterion of once in 100,000 reactor years; and therefore, this is the (unrealistic) maximum value. The subsidies included in the estimated costs here for nuclear power generation have been drastically reduced lately, and it is expected that costs of nuclear power generation would become much lower in the future. 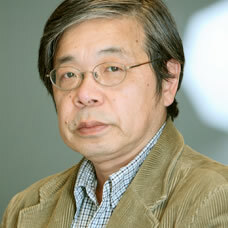 Although Oshima brings the past costs into question, since what should be concerned when comparing for economic efficiency are those for similar purposes in the future, it is meaningless to compare such costs with those of large-scale hydro power generation because building new hydro power plants is virtually impossible. As for the unit price of electric generation, there are many other trial calculations, but they all agree that nuclear power plants may need the highest construction costs (including expenditure for location) but the operational costs will be the lowest. Most of the estimations claiming that nuclear power generation is economically inefficient are based on costs for safety measures or risks of occurrence of accidents. In fact, current estimations are, as discussed so far, emphasizing costs for safety measures and risks of occurrence of accidents too much. Rather, it is conceivable that the costs rationally calculated would be much lower than those of the current estimations. Operation rates have the largest effect on the economic efficiency of power plants. The operation rate of all the nuclear power plants in Japan prior to the Fukushima disaster was about 65 %, which is less economically efficient than that of thermal power plants. The reason for this inefficiency is because it takes a long time for routine inspections and long intervals are necessary after disasters such as earthquakes. When profitability of nuclear power generation is taken into consideration from a business point of view, power companies are not able to pay complete compensation if the amount thereof is enormous. It should be best to expand the coverage of insurance by revising the Act on Compensation for Nuclear Damage. If the government undertakes the insurance for nuclear power plants, it should be possible for private companies to operate them. Such economic efficiency should be decided by electric power companies’ business judgment when electricity liberalization proceeds. On such an occasion, unsymmetrical controls that demand an excess amount of cost only for nuclear power must be ameliorated. When considering energy issues, nuclear power generation seems to become the main theme of discussion. Within the overall energy policy, however, electric power issue is 1/3 of primary energy, of which 1/3 is nuclear power generation, therefore, it only accounts for 10% of the entire energy in Japan. When looking at the whole of the primary energy, almost half of its generation depends on oil. It is an important issue for energy security to lessen the dependence on oil as a source of energy generation. In this sense, energy strategies set forth by the United States even after the Fukushima accident, which give importance to nuclear power as “clean energy” can be understood. If only the unit price of electric generation is considered, nuclear power does not have a massive advantage, as mentioned above. Especially given the current situation in Japan, building new nuclear power plants is difficult from a political point of view; instead, thermal power plants using natural gas will be constructed in the foreseeable future. As for natural gas, extraction of shale gas has become possible recently, and its reserve-production ratio is said to be 200 years or over. So fossil fuels will not be running out, at least for the present. However, fossil fuels cause the problems of air pollution and greenhouse gasses. From the viewpoint of environmental impact, it is agreed among many experts that nuclear power has the biggest advantage even if contamination caused by nuclear waste is taken into account. Namely, the coming issue of energy policies may be how well the choices, “dirty-but-low-risk thermal power generation “or “clean-but-high-risk nuclear power generation”, will be mixed and utilized. Other than that, power saving technologies like the smart grid may be promising, while renewable energy could be just complementary. Aside from security issues, electricity liberalization is also a big challenge. It is thought that the tremendous debts TEPCO owes will not be paid unless they sell either the electrical grid or the power grid, which means that separation of the electrical grid and the power grid would be inevitable. Concerns about electric quality may arise; on the other hand there is a potential that Japan’s economy will be revitalized through innovations by newcomers including foreign companies in the energy industry. Although some would say that we cannot expect much of industries whose demands do not increase, profit-earning opportunities would grow if unnecessary costs are cut. Again, it would be important to deal with nuclear energy symmetrically just as other options without any special treatment. (Saito, 2011) We must consider the safety standards of nuclear power generation in the same way as those of other methods of electric generation like coal-fired thermal power generation; its safety should be compared in view of the risks caused by air pollution or derrick accidents. As for safety standards, a ban on smoking (from which more than 100,000 people die annually) would be far more effective than a ban of nuclear power generation from a carcinogenicity perspective. There is no doubt that nuclear energy is dangerous. Still, it is necessary to treat nuclear energy on equal terms because the risks of low dose exposure are not anything exceptional. Nuclear energy may not be the “dream energy” that people used to think of, but the energy per unit weight generated by uranium 235 is 10 thousand or more times greater than that by coal. This technological innovation has great potential. The matter of nuclear waste costs is not fundamental. Regarding high-level waste, it is resolvable if it is dumped abroad. A major part of the reason why people have too great a fear of radioactivity is the politically-influenced stereotype image. It is necessary for the government to disseminate correct information on nuclear energy and radioactivity and call for people’s understanding. Japanese finance cannot afford to pursue excess “safety” by going along with unsubstantiated fears. The greatest part of nuclear energy costs is for political expenditure, which becomes an entry barrier and protects the old-fashioned structure of the electric industry. If the safety standards were revised from a scientific perspective, new entries and innovations would develop and there would be space for nuclear energy costs eventually to decline. Existing companies present a strong defense of organizations and the poor capabilities of “creative deconstruction” in Japan. It may or may not be fortunate that such a huge company as TEPCO will have disintegrated, but that could be a breakthrough for industrial revitalization. An examination of nuclear energy based on scientific data is strongly urged to turn this potential disaster in Fukushima to an advantage. If the threshold level is applied also to the cost for back-end activities and the waste disposal cost becomes equivalent to that of coal-firing thermal generation, the estimated budget would be much smaller. But because this estimation is the assumed law amendment, I will not deal with it further here. As for compensation and decontamination, the ICRP recommendation only shows "reference figures" which do not stem from legal grounds. Therefore it is preferable to set scientifically-founded criteria in light of the discussions at the Diet. [3 ]Oshima separates the cost of pumped-storage power generation from that of normal hydro power generation then sums up the cost of pumped-storage power generation and the cost of nuclear power generation. The result of his calculation is 10.11 yen/kWh. This separation seems somewhat intentional because normal hydro power generation and pumped-storage power generation are not distinguished in the financial report; moreover, pumped-storage power generation is utilized not only for nuclear power generation but for the whole transmission grid in order to distribute transmission load.